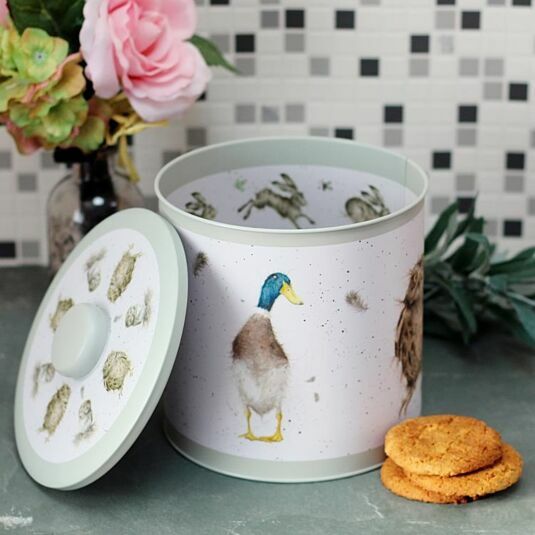 Store your biscuits in style with this beautifully decorated round tin which is perfect for keeping everything fresh. It would perfect suit a country kitchen and make a lovely housewarming gift. The metal tin is light green and white in colour with a matt finish. 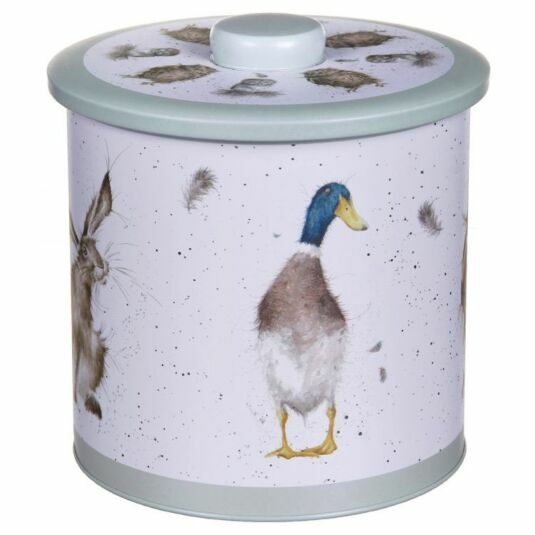 The outside of the tin features illustrations of animals from the award winning Country Set range. A splendid brown hare sits tilting his head to one side with a quizzical look. Two ducks, one with wings widespread just landing from flight and the other with his webbed feet overlapping, head to one side with a few of his feathers fluttering through the air. A slightly dishevelled Tawny Owl ruffling his feathers, causing some to fly around him. 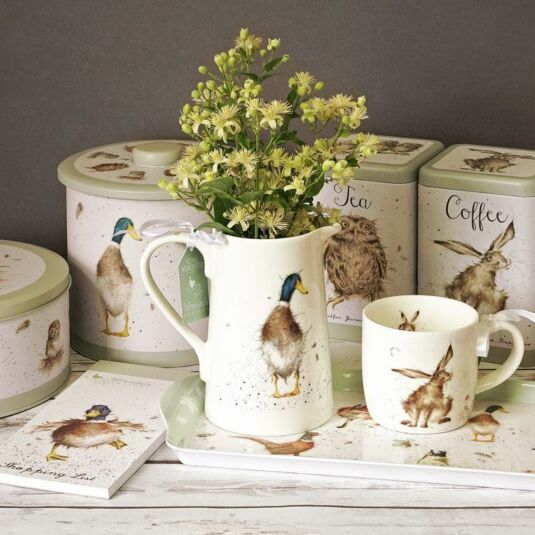 The images are painted in soft hues, in the expressive style that is associated with Wrendale Designs. The lid of the tin has a raised knob allowing for easy removal. 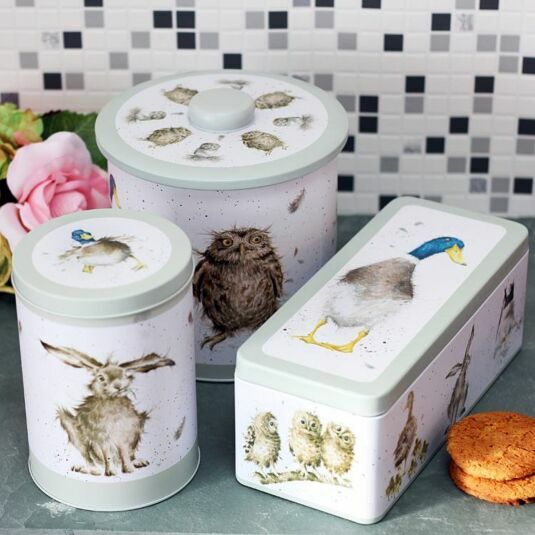 It also features two different owl illustrations, one repeated from the side of the tin and the other featuring a cute little owlet perched in a nest. 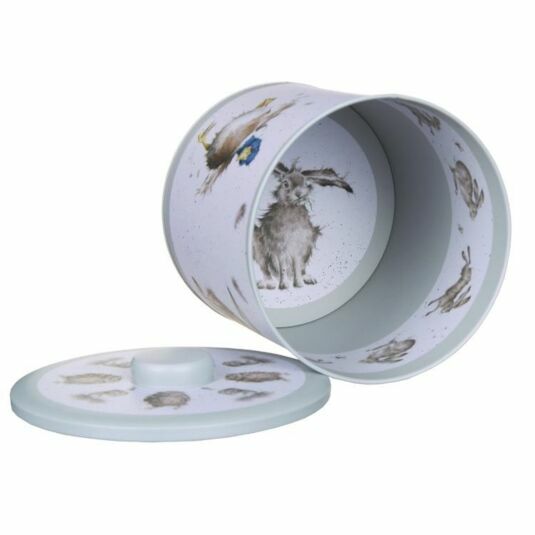 The underside of the lid features a third illustration of a tawny owl in mid strut, surrounded by the soft speckling which is featured throughout this delightful series. The interior of the canister is light green but there is a border around the circumference of the inside which shows a series of brown hares in motion. 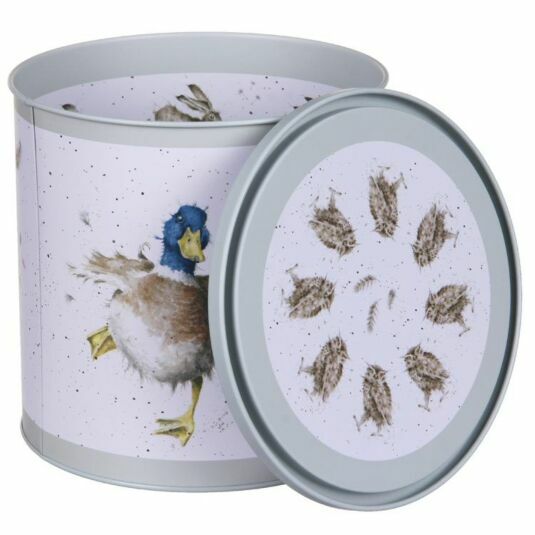 The bottom of the tin has an illustration of a hare sitting on the ground, chewing some stems of grass.